Western media claim that he is ill, while a local newspaper in the South Korean capital Seoul reported Tuesday that Kim collapsed last month. It is not known how serious the condition of the North Korean leader. According to South Korean diplomats based in North Korea’s capital Pyongyang, Kim lost consciousness on August 22. After that a group of five Chinese doctors traveled to Pyongyang and is now taking care of him. South Korean officials also say the 66-year-old leader suffers from obesity, diabetes and a number of other diseases. South Korean media, though, doubts the North Korean leader sought medical help from China as before they mainly looked to Germany, France and Russia. At the same time, Seoul intelligence data claims the North Korean leader has health problems but is still capable of fulfilling his duties. A new book by Toshimitsu Shigemura, a professor at Japan's Waseda University, recently added fuel to the long-lasting speculation. 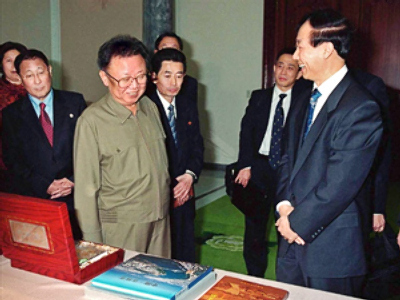 In “The true Character of Kim Jong Il” Shigemura claims Kim Jong Il died in the autumn of 2003. Shigemura believes this happened within 42 days after September 10 when the North Korean leader was last seen in public. In the years that preceded his “death” Kim undertook some big moves influencing the country’s relationship with the outside world. These include the June 2000 summit with South Korean President Kim Dae Jung, a visit from Russian leader Vladimir Putin the following month and then U.S. Secretary of State Madeleine Albright in October 2000. August 2003 saw the opening of six-way talks on halting North Korea's nuclear weapons programmes. According to the professor, a group of senior officials took power in their hands willing to protect their positions. The role of “Kim Jong Il” went to several of his doubles controlled by one of the “puppet-masters”. There has been no reaction from official Pyongyang but the association of Korean residents of Japan strongly denied the claim.